Template literals are string literals allowing embedded expressions. You can use multi-line strings and string interpolation features with them. 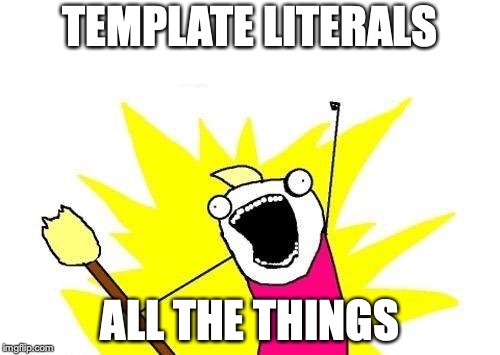 Template Literals are part of the ES6 specification. Actually they even contain the basic requirements to use it as a templating language!